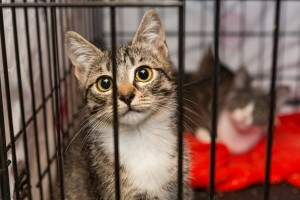 Even with an increasing number of people adopting pets, shelters are still feeling the strain as they struggle to find room for new animals. In the United States, more than 7.5 million animals go into shelters every year, and almost half that number are euthanized each year. Adopting from shelters helps a great deal, and many shelters are no kill shelters. However, the heroic efforts of shelter workers, animal advocates, and everyday citizens who look to adopt, can only do so much. Society also needs to reduce the number of animals being born. The numbers can be shocking. For example, only 10% of newborn puppies will ever find a permanent home. That means 9 out of every 10 dogs are destined to be homeless, living on the streets, sent to shelters, or euthanized. As for cats, the current estimate of homeless (or feral, or “community” cats) is said to be around 80 million. Life on the streets is tough for animals just as it is for people. They are at risk of all kinds of dangers, including harm from accidents, disease, and malicious crimes. Is there anything we can do to help? Yes. The most important thing we pet owners can do is make sure to spay and neuter our dogs and cats. Why? After all, they live with us and are well taken care of. Well, that may be true, but for starters, there’s no telling what the future holds. Heaven forbid, but what if they get lost somehow, or we suddenly cannot take care of them due to illness or an accident? Also, many dogs and cats spend a lot time outdoors. There’s ample opportunity for our outdoor pets to socialize with other outdoor (or feral) dogs and cats. So, spaying and neutering our own pets is a very important step. It’s also in our control to do. We may not be able to solve the animal homeless problem all by ourselves, but we can do our part with our own pets. If every pet owner did the same, then the cumulative result can be a huge help. Spaying and neutering has other benefits as well, especially in terms of pet health, wellness, and peace of mind for us pet parents. 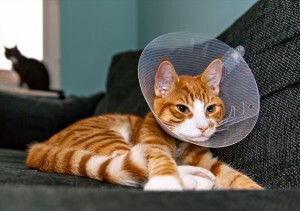 Spaying and neutering can eliminate certain risks for diseases, such as uterine and testicular cancers. It also reduces or eliminates mating related behavioral issues. Females will go into heat during breeding season, and that can cause many headaches, such as urinating and calling loudly. Males tend to spray-mark their territory (which in this case is your home) and can get aggressive towards other males. Behaviors such as these can be especially troublesome if the animals are left to their own devices for hours at a time when you’re away at work. Spaying and neutering will help reduce these behaviors. It’s a simple fact that we live in a world where we humans dictate how most animals live day to day. As the saying goes, with power comes responsibility, and it’s true with our pets as well. After all, they didn’t have a choice to come live with us, but we had the freedom to choose if we wanted pets in our lives. Therefore, we should do everything we can to make their lives better. We love our animals and they love us, there’s no question there. We should work to ensure that every life is a meaningful life, and not be sidelined to an unwanted, unfulfilled existence.